the death of adipose tissue, characterized by the formation of small (1-4 mm), dull, chalky, gray or white foci; these represent small quantities of calcium soaps formed in the affected tissue when fat is hydrolyzed into glycerol and fatty acids. a condition caused by trauma or infection in which neutral tissue fats are broken down into fatty acids and glycerol. Fat necrosis occurs most commonly in the breasts and subcutaneous areas. It also may develop in the abdominal cavity after an episode of pancreatitis causes a release of enzymes from the pancreas. Liquefactive necrosis initiated by trauma and effected by lipolytic enzymes. See Calcium soap, Necrosis. The death of adipose tissue, typically due to digestive enzymes (e.g., lipase); characterized by the formation of small (1-4 mm), dull, chalky, gray or white foci. Death of body fatty tissue often as a result of exposure to pancreatic enzymes in the condition of acute PANCREATITIS. This view is supported by Karochristou et al, (2) who documented a biochemical profile of pseudohypoparathyroidism in a neonate with hypocalcemia associated with subcutaneous fat necrosis. Case report: false-positive breast screening due to fat necrosis following mammography. 4%) patients with fat necrosis were classified as BI-RADS category 4b, much lower than 41. In the presence of skin and/or fat necrosis, drainage and debridement should be performed without delay. In this report, we describe widespread granulomatous coelomic fat necrosis resulting in colonic obstruction in an umbrella cockatoo. Subcutaneous fat necrosis of tire newborn: a review of 11 cases. Stage 3 consists of fat necrosis, cyst formation, calcification and new bone formation. These risks include infection, delayed healing, wound breakdown, and fat necrosis, as well as implant-related problems. Recurrent ulceration and fat necrosis is associated with lipodermatosclerosis. Arthritis and intramedullary fat necrosis can develop as a result of disseminated fat necrosis, forming the triad of pancreatitis, panniculitis and polyarthritis (PPP) (3, 4). 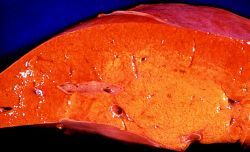 This feature has not been described in the literature reports of other cases of MDL, and was thought to be due to either fat necrosis or old haematomas secondary to trauma. Histologic examination demonstrated abscesses, areas of fat necrosis, and peripheral fibrous changes.